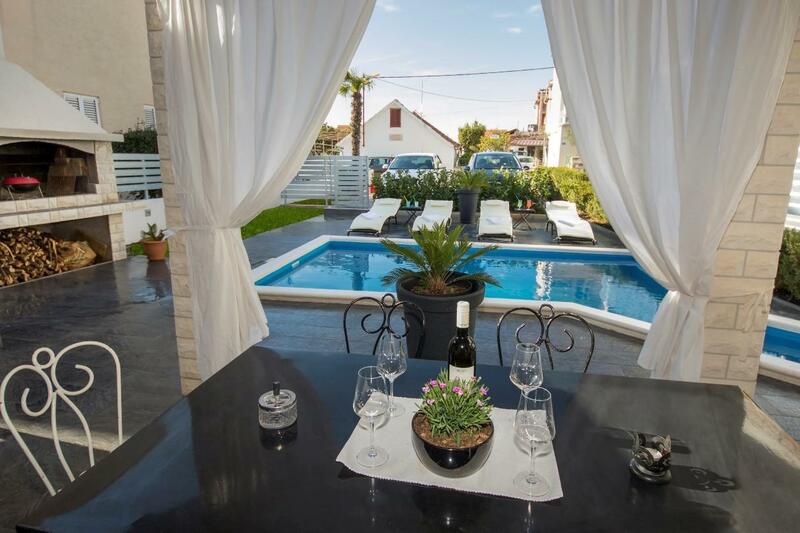 Ideal villa to spend a great holiday! 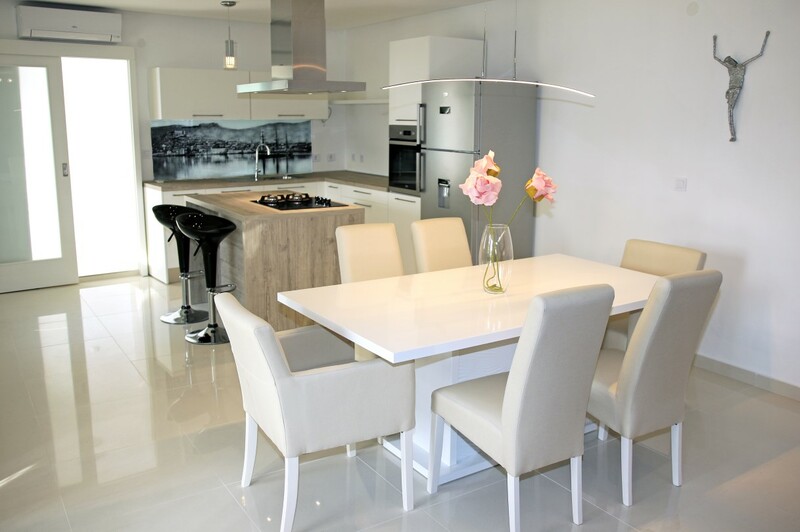 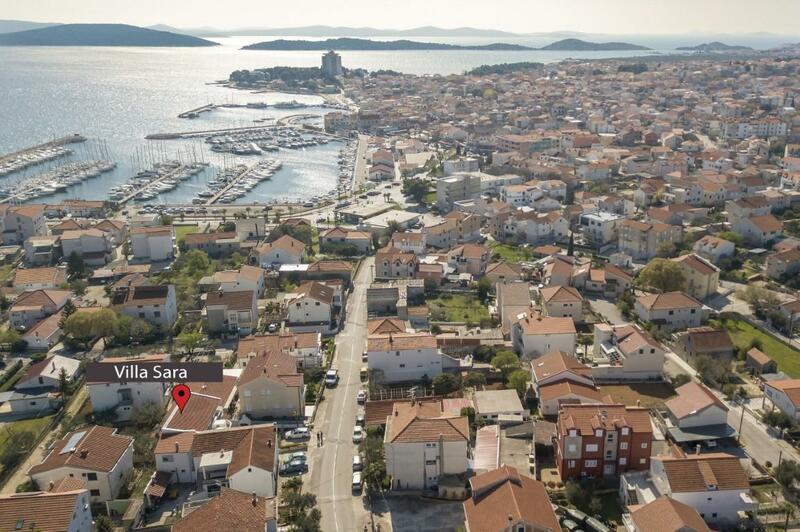 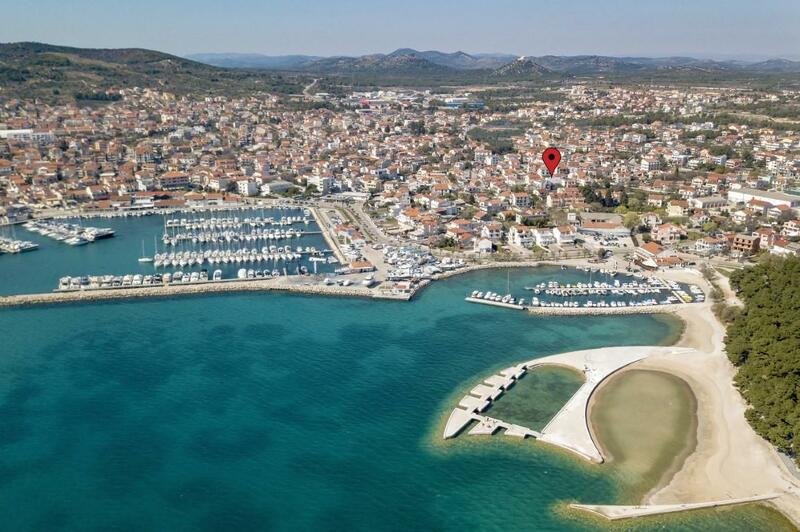 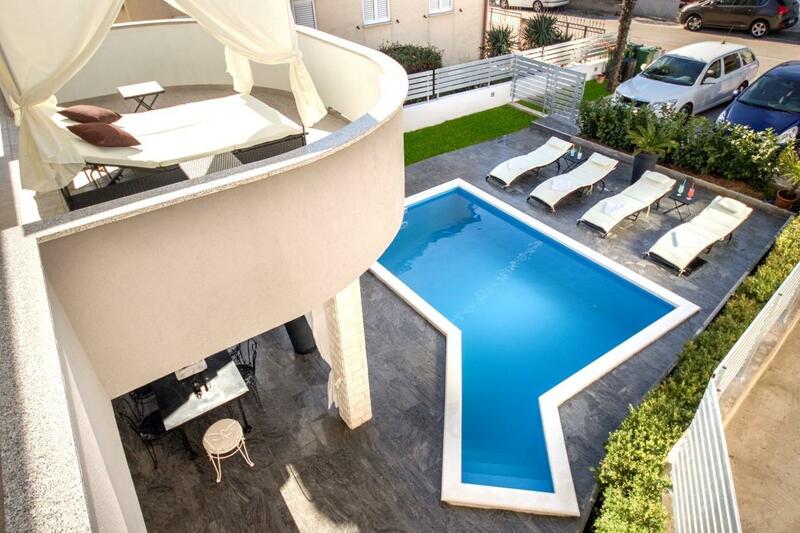 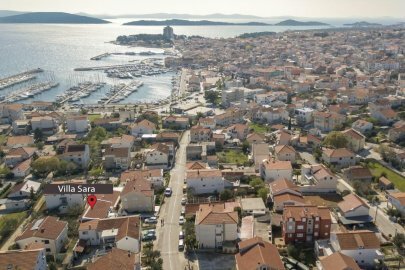 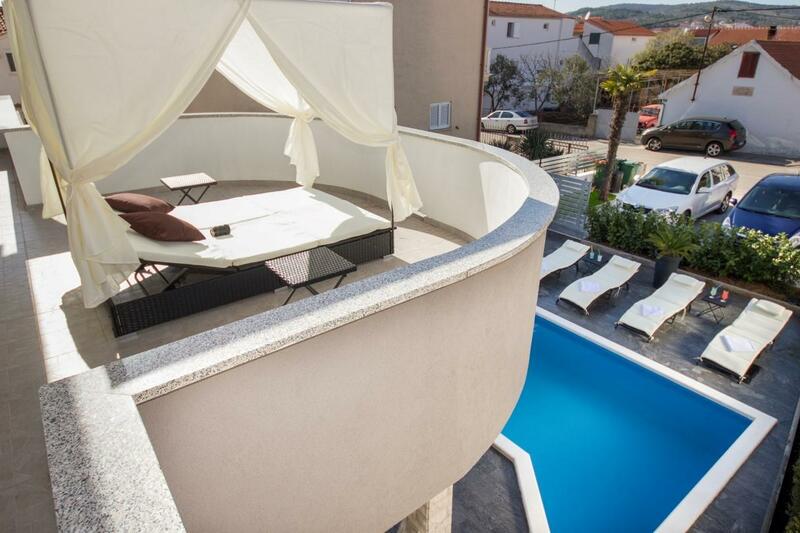 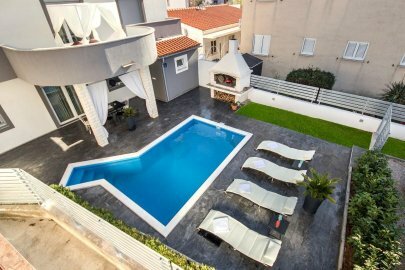 Located in Vodice just 200 m away from the ACI Marina and the beach, the modern villa Sara stands proud. 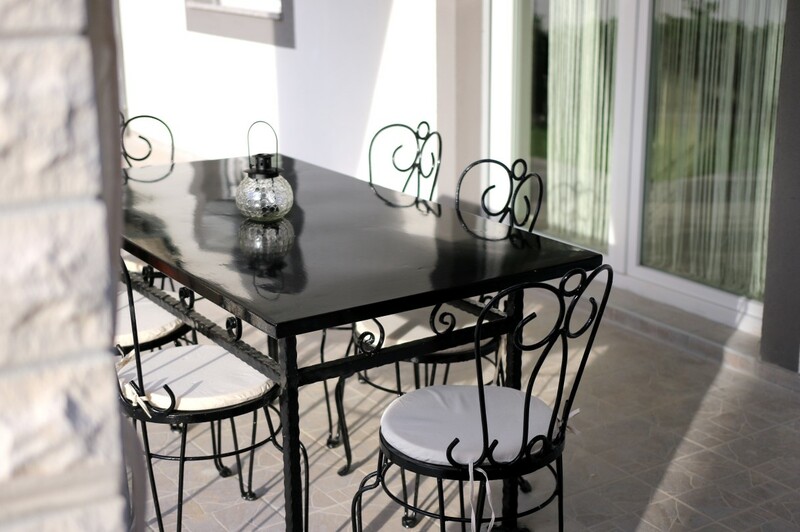 This villa is decorated with a lot of style and is fully equipped in a way that will serve any guest’s needs. 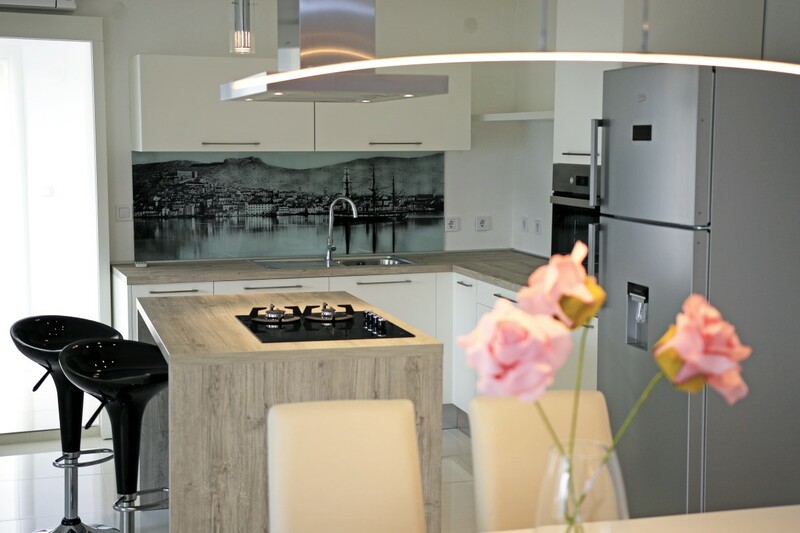 On the ground floor there is a totally equipped kitchen, a spacious living room which also includes a work area with a desk so guests can catch up on important e-mails. 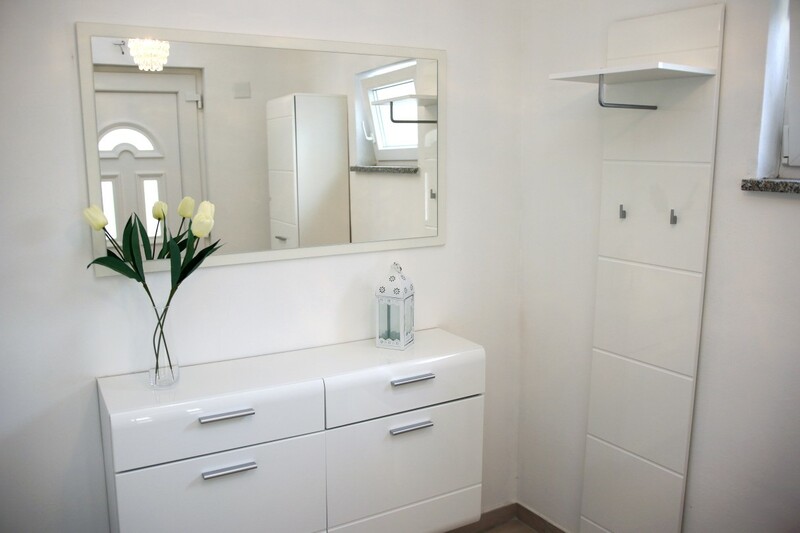 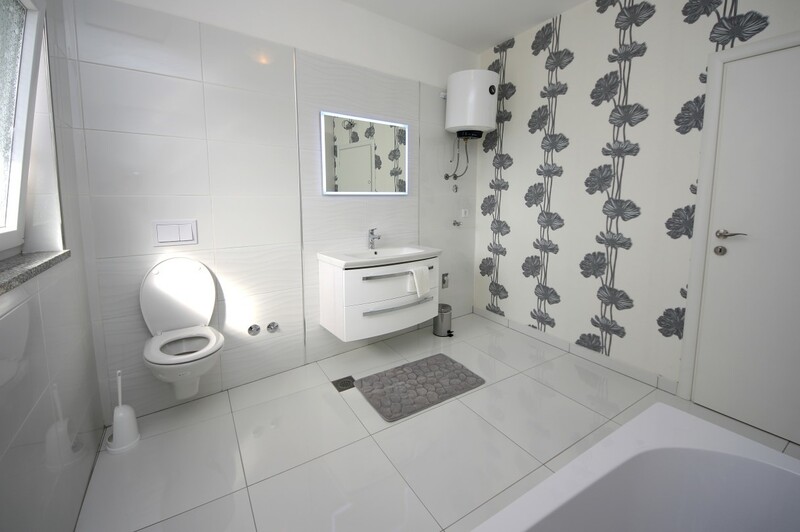 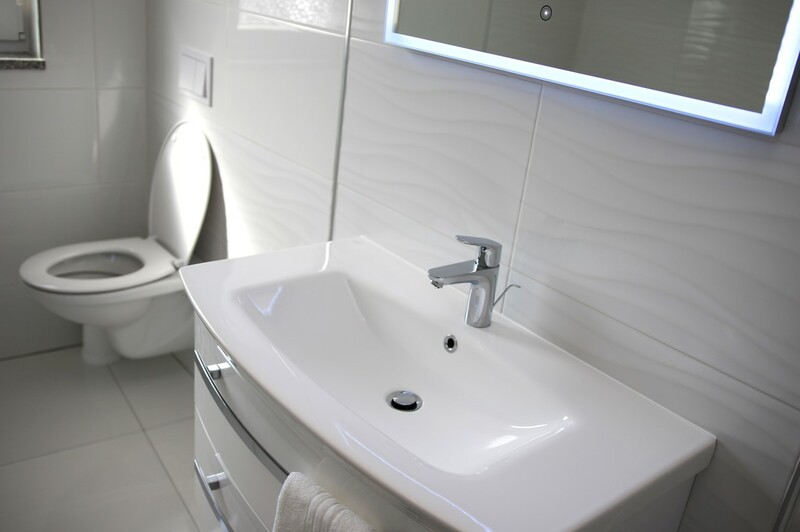 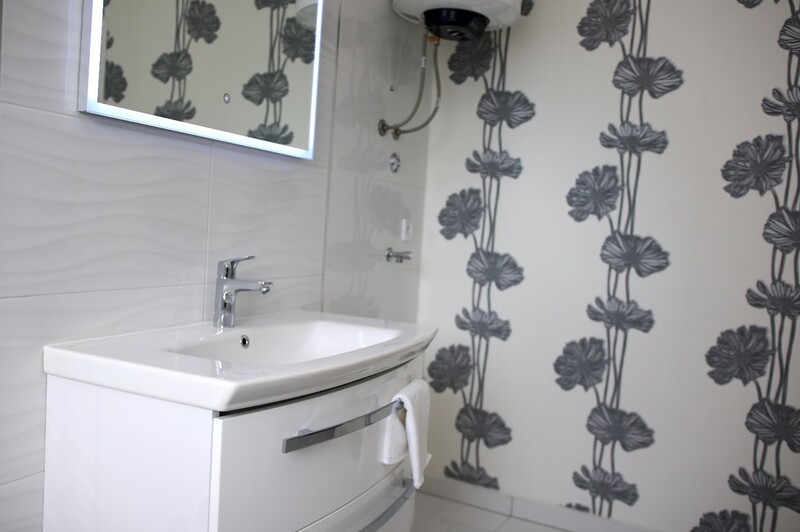 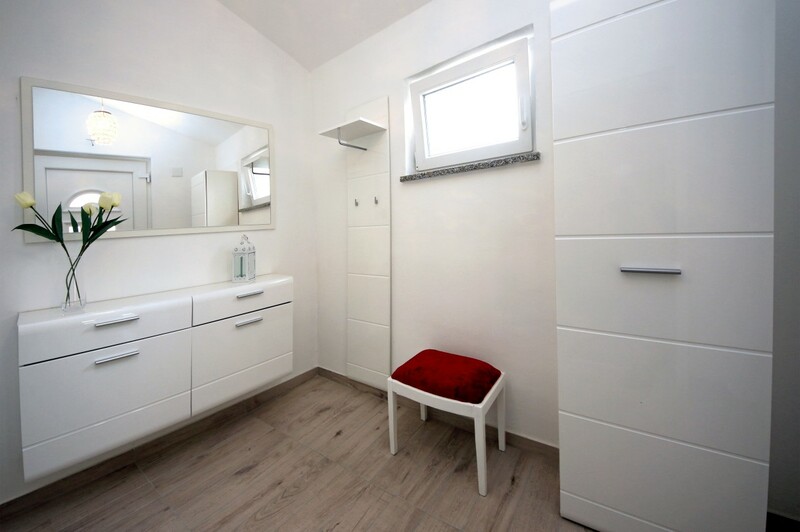 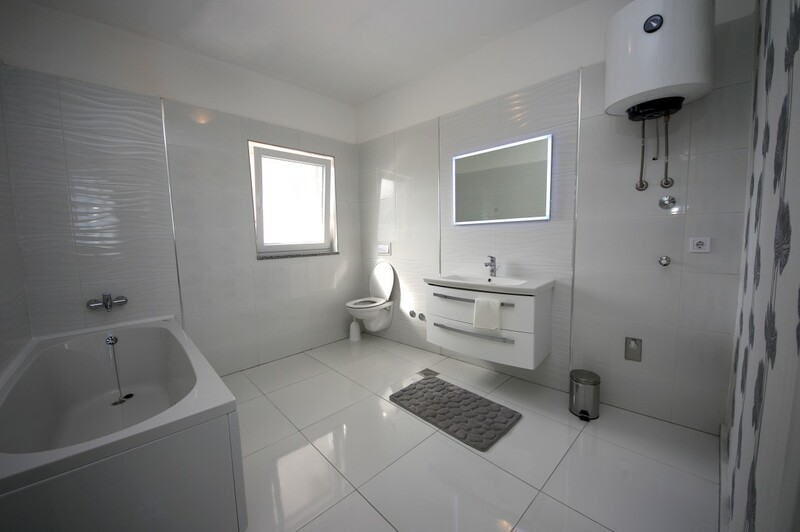 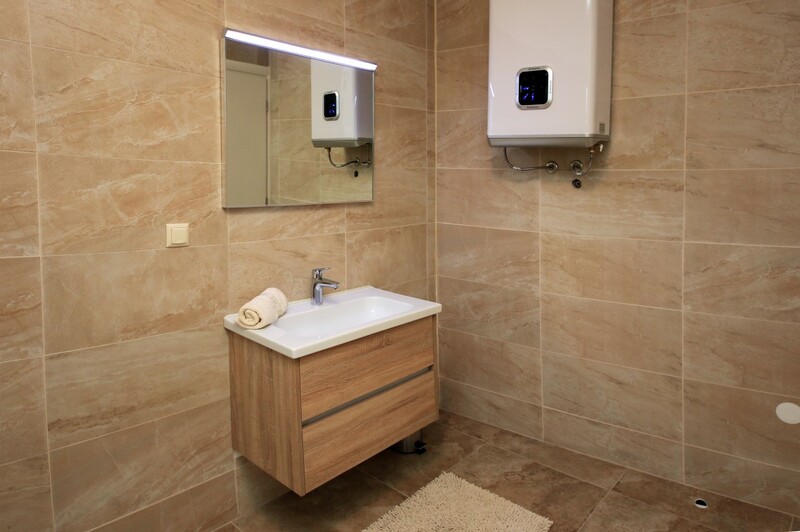 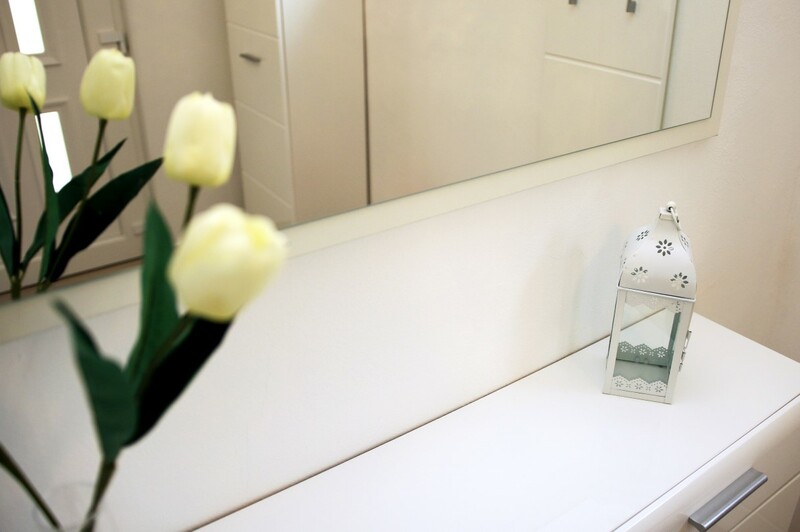 One beautiful bathroom with washing machine and dryer is also located on the ground floor. 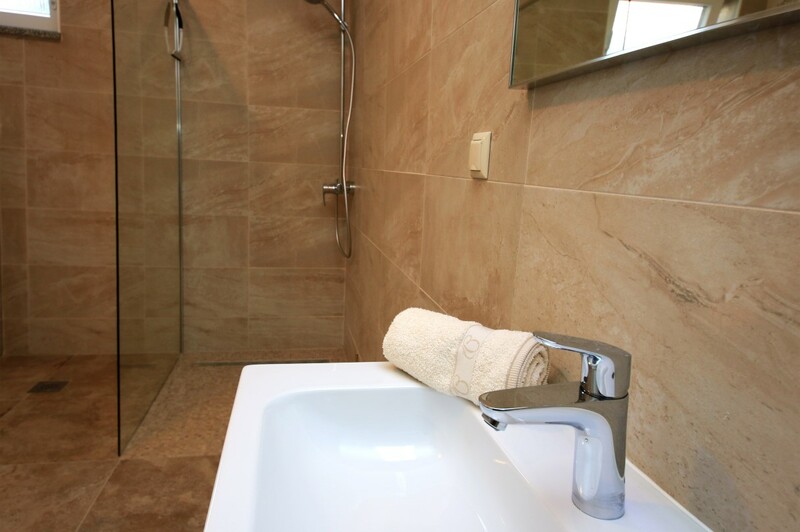 On the first floor there are two double bedrooms, one having a single baldachin bed; one bedroom with two single beds and another bathroom. 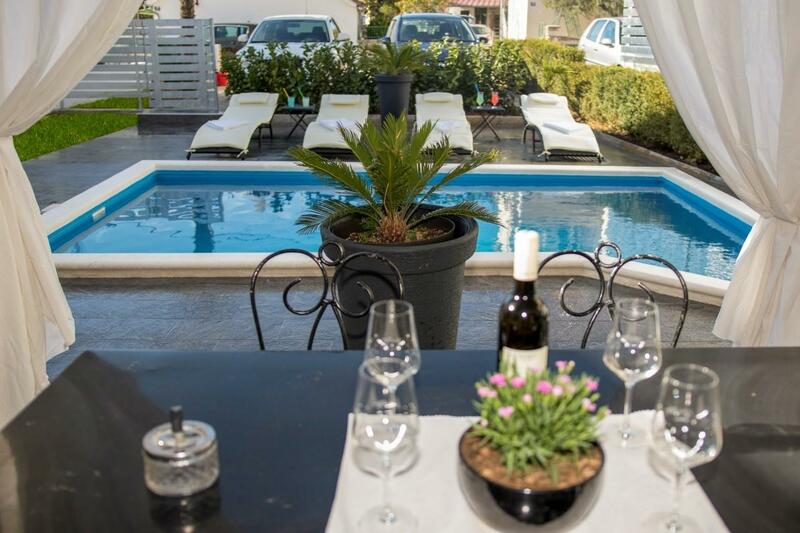 The modern and stylish villa Sara is children friendly with bedrooms containing two cots while in the kitchen guests can find a highchair. 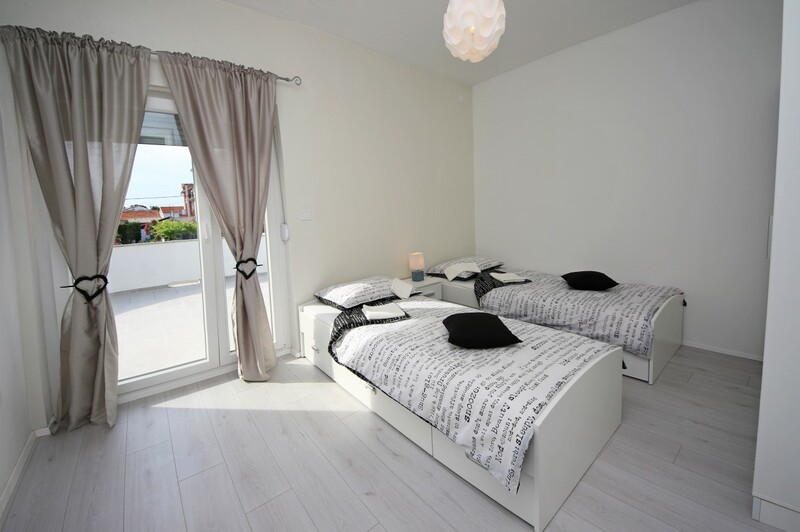 Two of three comfortable bedrooms have access to the balcony. 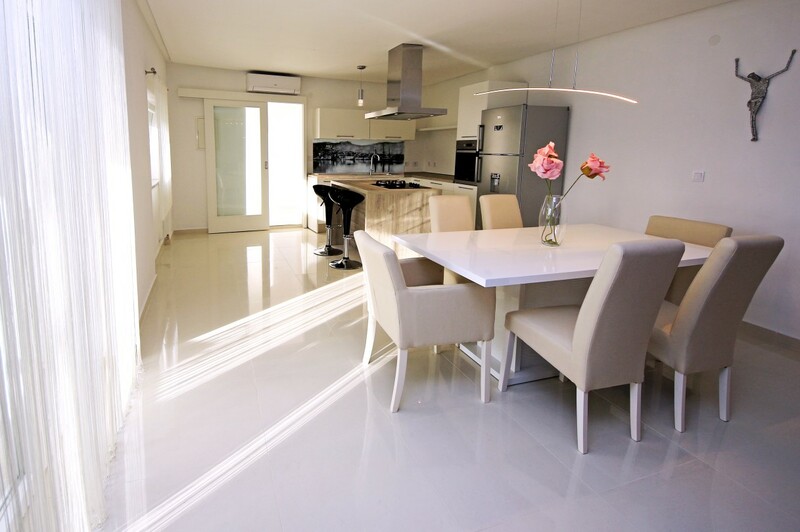 Air-conditioning is spread throughout the property as well as WI-FI connection. 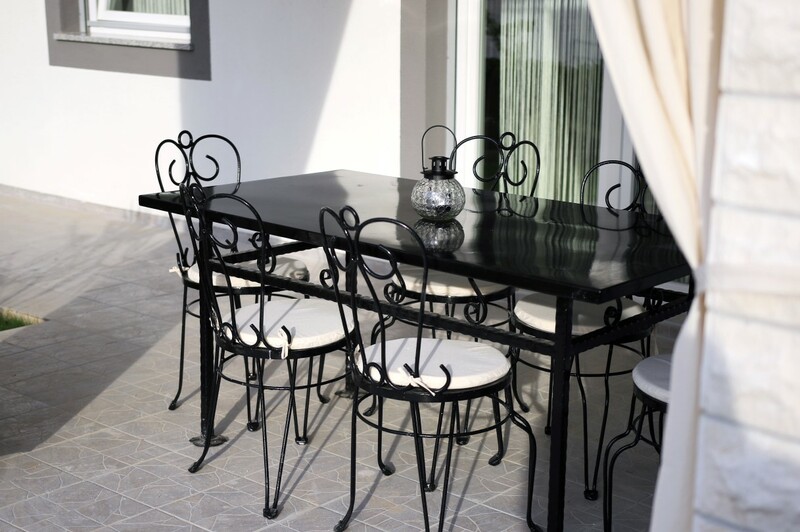 Guests can relax in the yard with a barbecue perfect for family and friends gatherings. 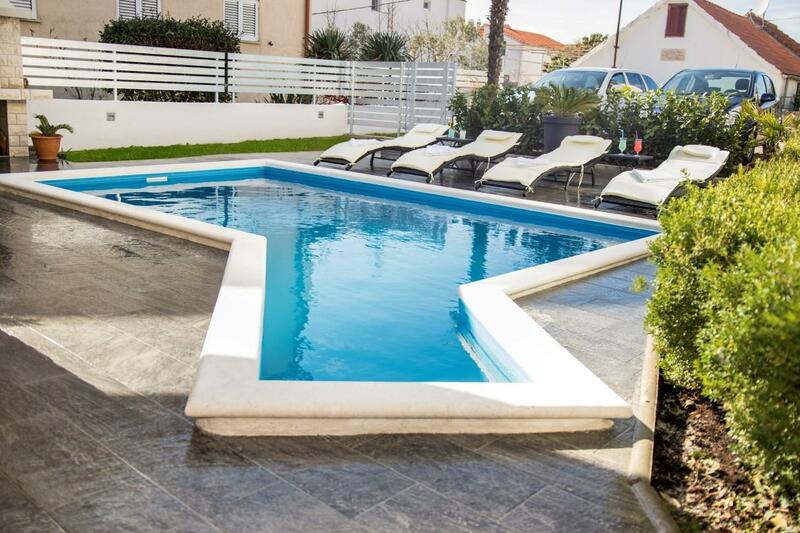 There is also a private parking available and a swimming pool with sun loungers, which will be ready till May of 2019. 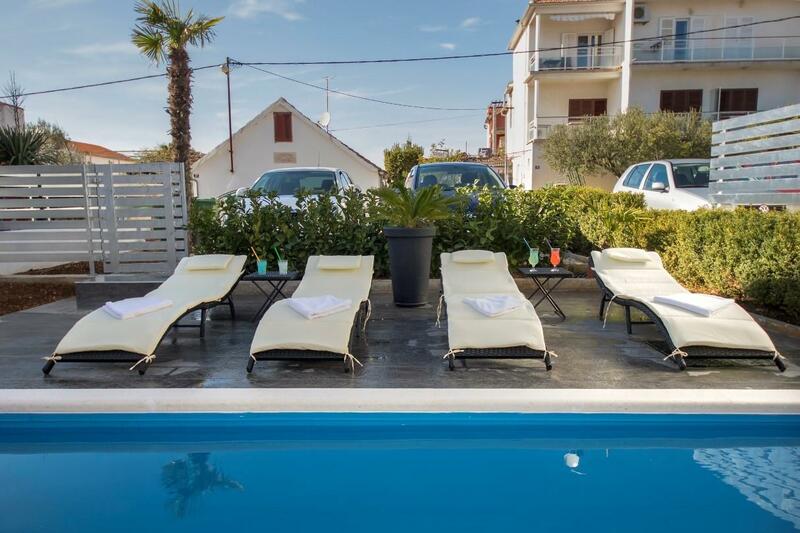 Just a short walk separates guests from the Vodice centre which is filled with attractive restaurants and lots of places to visit and the historical city of Šibenik with its UNESCO protected heritage is just a few kilometres away. 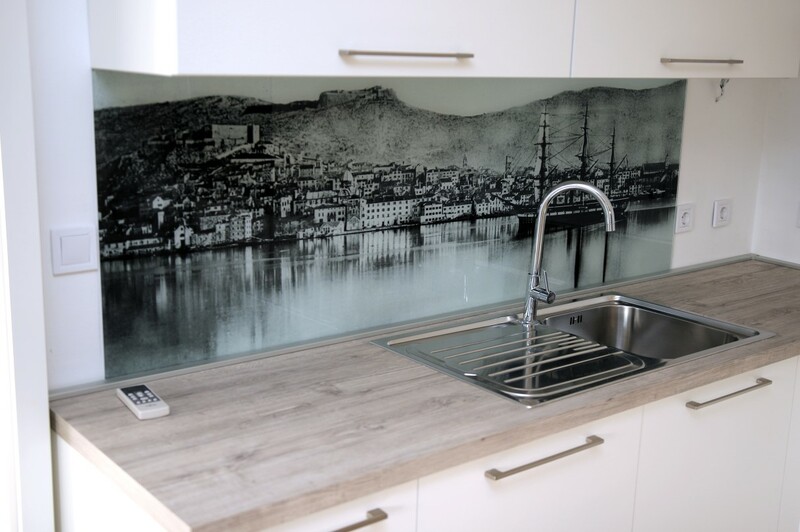 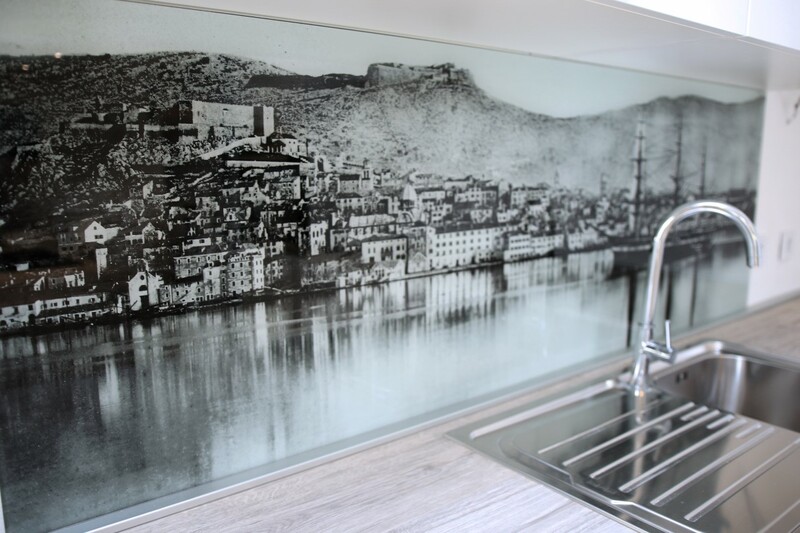 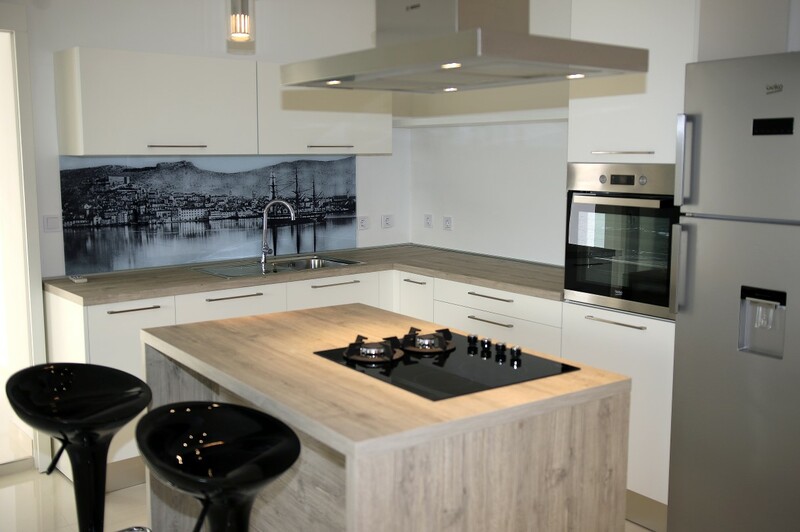 The kitchen contains a great picture of the old town of Šibenik which can motivate guests to see the cultural diamond of Dalmatia as soon as possible. 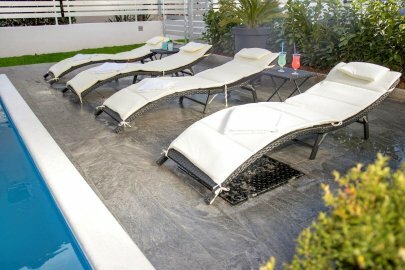 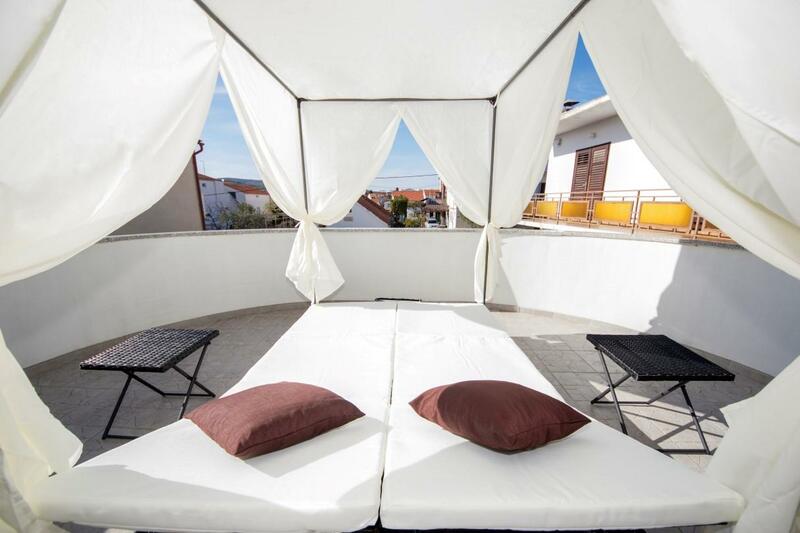 Relax with a cocktail on the terrace and at the pool, or prepare nice fresh local fish on the barbecue and feel the city of Vodice and the city of Šibenik to the fullest. 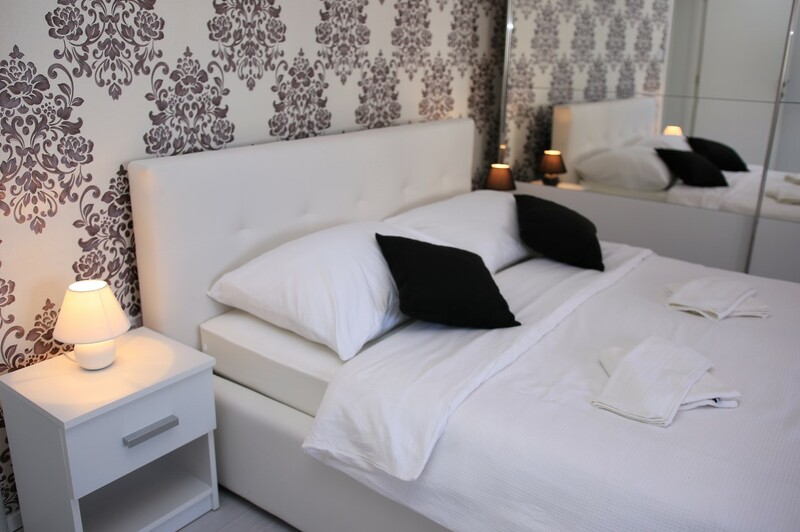 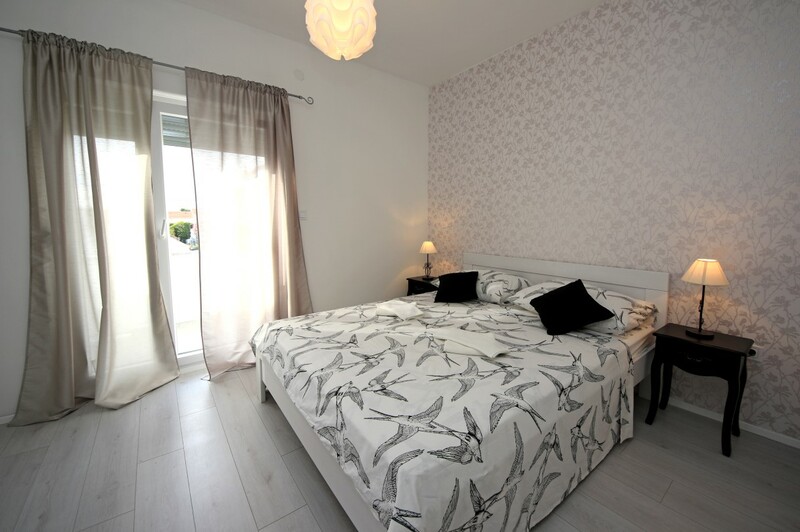 There is a possibility to add 1 single bed in the third bedroom for 1 additional guest.